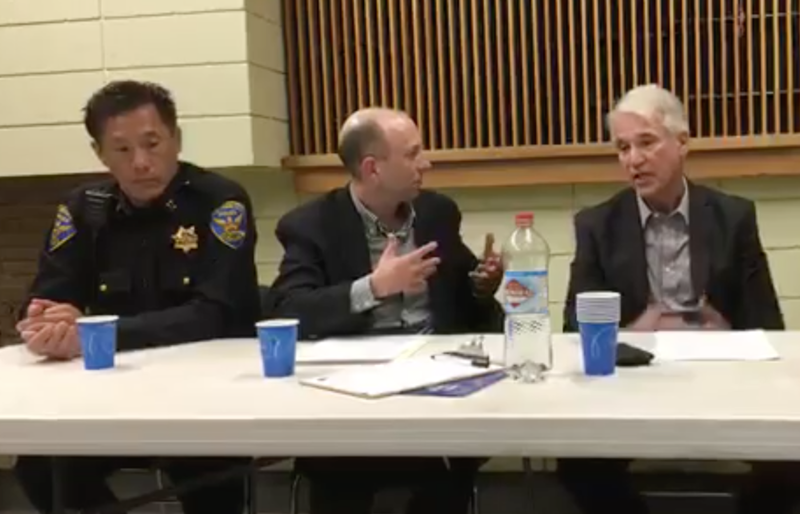 It was great to have District Attorney George Gascon and police Captain Robert Yick on a panel to discuss the property crime epidemic in San Francisco. Solving this complex problem will require every part of the criminal justice system working hard together. Gascon answered many engaging questions from the Westside audience. Watch the full video, where Gascon defends his prosecution record during a property crime epidemic. San Francisco Police Captain Robert Yick gives a policing update. Supervisor Norman Yee shares his legislative victory to reduce rental car break-ins. Stop Crime SF Vice President Joel Engardio offers a crime status overview. 05:41 — What is Stop Crime SF and how does Court Watch work? 41:17 — Gascon says "be well-informed before making assumptions"
1:05:22 — Gascon on the limits of electronic monitoring: "it's abysmal"
1:15:01 — Gascon questioned about prosecution in San Francisco versus San Mateo: Is San Francisco more lenient? 1:19:04 — Gascon questioned on frustration people feel about public safety when money bail is gone and risk assessment tools aren't perfect. This forum was sponsored by the Golden Gate Neighborhood Association. Kyra Worthy, the executive director of SF SAFE, also spoke about its security camera program and how the non-profit helps residents and neighborhoods become better prepared to prevent crime.